Copyright fee as levied by APRA. 1.1 Entries must be made via the website at (www.stardom.com.au) and lodged on or before the closing date, accompanied by the entry fees stated in the schedule together with any administration fee applicable to the entry. 1.2 Responsibility for ensuring that all details that form part of the entry are correct rests entirely with the entering competitor. No alterations are permitted to entries once lodged, and no refunds will be given. 1.3 No entries will be received after the closing date. 1.4 The correct age for a competitor is the age on the 1st January 2019. Competitors must be prepared to produce a Certificate of Birth to verify that the competitor is the appropriate age for the class entered, if required to do so by the Committee. 1.5 Competitors entering any solo class must be the correct age for that class. 1.6 Groups may contain competitors who are younger than the stipulated correct age for that class, but not older. 1.7 All dancing classes are grouped in divisions. No competitor may enter in any more than one class in any division. 1.8 To enter a solo class in a division that is not restricted, the competitor must be the correct age and must have been awarded a 1st, 2nd, or 3rd placing in the class of dance entered in any dance competition up to the closing date of entries. This rule does not apply to competitors entering Division A, Division B or any other class where a restricted class does not exist because of the competitor’s correct age. 1.9 To enter a restricted solo class in a division, the competitor must be the correct age and must never have been awarded a 1st, 2nd, or 3rd placing in the class of dance entered in any dance competition up to the closing date of entries. 1.10 Competitors who have previously entered a solo class that is not restricted may, if that competitor has not placed 1st, 2nd, or 3rd in the class of dance entered in a dance competition over the preceding three years, elect to enter a restricted solo class in that same division, provided that a relevant restricted class exists. 1.11 To enter a champion solo class, the competitor must be the correct age and must have been awarded a 1st or 2nd placing in a class that is not restricted, in the class of dance entered in a dance competition. 1.12 If a competitor has been awarded a 1st or 2nd placing in a class that is not restricted in each of the preceding 2 consecutive years and a champion solo class exists for that style of dance, then, provided that the competitor is the correct age for the champion class, that competitor must enter the champion solo class. 1.13 A minimum of two entries must be received in any champion solo class for the class to proceed at the eisteddfod. If only one entry is received the entering competitor will be given the option of a refund of the entry fee or placement into the relevant solo class with the correct age. Should the latter occur, the competitor must comply with the relevant time limit for the new solo class entered. 1.14 A class will be split after 26 entries have been received for that class. 1.15 Duo or trio entries must contain the correct names and ages of all members of the duo or trio. 1.16 A group or troupe must consist of at least 5 competitors. 1.17 Where the Committee deems that there are insufficient entries in a class for it to proceed then the Committee, in its absolute discretion, may amalgamate that class with the class immediately above or below that age group. 1.18 When entering multiple groups in the same class you must allocate a different name for each group. For example, “your dance school” and add 1,2,3 or blue, green, red etc. 1.19 Errors and admissions by the Committee to the Eisteddfod Schedule or Program are permitted. 2.1 Competitors compete at their own risk. 2.2 No rehearsal or practice is permitted on stage during the eisteddfod. 2.4 Basic set lighting will be supplied. Blackout may be used for group items but are li mited to the beginning and end of the item only. Blackouts during Champion Groups will be at the teacher’s discretion. 2.5 The front curtain may only be used for Champion Groups. 2.6 No backdrops or props can be flown in. 2.7 A competitor who commences an item, stops and is allowed to restart will still be adjudicated if the cause of the re-start was proven to be a technical fault. All other restarts will be at the Adjudicator’s discretion, including whether or not the item will be judged. 2.8 Dressing areas are allocated by the Committee. Competitors and teachers are responsible for maintenance and cleanliness. Any damages incurred will be charged accordingly. 2.9 No alcohol is permitted in the dressing rooms, backstage or in the auditorium. 2.10 All props must be labelled with the competitor’s name or school and have the bottom taped to avoid damage to the stage surface. 2.11 The Committee will not be responsible for music or props not claimed on the day of the competitor’s performance. 2.12 Any music must be able to be connected to the sound system by a 3.5mm mini jack stereo plug. 2.13 Any electrical equipment brought into the DEC must be “tagged and tested” by a qualified electrician. (a) Time limits will be strictly enforced. Timing commences when the music commences, or the competitor begins any part of the performance without the commencement of music, whichever occurs first. This does not include time used to enter the stage to quickly pose while the competitor awaits the commencement of the music. (b) A competitor must not perform the same item more than once during the current season of the eisteddfod. 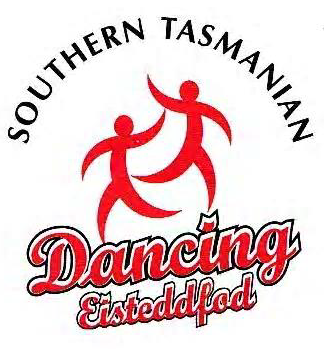 (c) A competitor must not perform an item in which he or she has previously been awarded a first prize in any class of the Southern Tasmanian Dancing Eisteddfod for more than two consecutive years. (d) A competitor’s place will be numbered in a class. The competitor must be present when called upon by the committee to perform and the competitor must compete in the order of appearance in the official program. (e) A competitor must not permit, or allow teachers to permit, another person to perform under his or her name. (f) A competitor must not address the audience from the stage. (g) A competitor must not enter or exit the stage other than through the wings at the side of the stage. (h) A competitor must be not prompted or assisted in any way during a performance, except by the Adjudicator. (i) A competitor must not use smoke machines, bales of hay, straw, lighted candles, sparklers, cigarettes, naked flames, rosin, glass, lanterns, mirrors, bubbles, water or any other liquid or sticky substance. (j) A competitor must not throw any item from the stage during a performance. (k) All competitors in a Champion Group must be students enrolled at the dance/theatrical school that enters the item and attend classes on a regular basis. (l) A competitor must not use jingle taps. (m)Character or Demi-Character Solo competitors must advise the Committee of the title to their solo at least 24 hours prior to the performance. (n) Hosiery must be worn by all girls in all dance performances or the competitor will not be eligible to perform. Hosiery can be footed, footless, stirrup, knee or mid-thigh length. (o) Song and Dance competitors must not use a vocal background at any time during the singing component of the item. (p) A competitor in a Song and Dance item must be enrolled at the dance/theatrical school that enter the item and attend classes on a regular basis. (q) Competitors in a Song and Dance item must take part in both the song and dance component of the item. (R) Only hand-held props are permitted on stage for Solos, Duos and Trios. (A hand-held prop is defined as an item which can and must be carried on by the competitor and can be put down and picked up as part of the routine, but not danced on). (S) Props are permitted for Groups and Character or Demi Character Solos. Any person either placing or removing props on the stage must wear fully enclosed shoes. 3.1 Specialist adjudicators will be engaged as practicable. The adjudicator’s decision is final. 3.2 Individual written adjudication critiques will be available at the completion of sessions. No marks will be recorded on the adjudication’s written critique. 3.3 All decisions of the adjudicator must be accepted as final. No discussion whatsoever may be entered at any time with the adjudicator unless the secretary gives prior permission. 4.1 The Committee reserves the right to disqualify any competitor whose item is deemed unsuitable. 4.2 The Committee reserves the right to alter or amend the program at any time. 4.3 Any complaints made by an individual against the organisation or adjudication of an event, must be made in writing, giving the complainant’s full name and address, and shall be lodged with the secretary within a period of 30 minutes following the result being made public, accompanied by a fee of $50.00 which is refundable if the protest is upheld. 4.4 Entrants may be barred from venues and performances on the grounds of behaviour. 4.5 Teachers are responsible for Copyright (APRA, PPCA, AMCOS) licence/s. The Committee takes no responsibility for copyright infringements by Teachers. 4.6 The use of any recording device is strictly prohibited. Failure to comply will result in confiscation of filmed, photographed or recorded material and competitor may be disqualified. 4.7 Failure to comply with any of the foregoing conditions may involve disqualification and the withholding of any prize by the Committee, a decision which shall not be subject to any appeal at law. Title of dance to be announced. To enter a champion solo class, the competitor must be the correct age and must have been awarded a 1st or 2nd placing in a class that is not restricted, in the class of dance entered in a dance competition. If a competitor has been awarded a 1st or 2nd placing in a class that is not restricted in each of the preceding 2 consecutive years and a champion solo class exists for that style of dance, then, provided that the competitor is the correct age for the champion class, that competitor must enter the champion solo class. To enter a solo class in a division that is not restricted, the competitor must be the correct age and must have been awarded a 1st, 2nd, or 3rd placing in the class of dance entered in any dance competition up to the closing date of entries. To enter a restricted solo class in a division, the competitor must be the correct age and must never have been awarded a 1st, 2nd, or 3rd placing in the class of dance entered in any dance competition up to the closing date of entries. Singing, Dancing, Classical, Contemporary, Acrobats, Musical Comedy or Tapping. Groups entered by an educational institutions in Division R must only be made up of students enrolled at that educational institution. Entry in Division R as part of a school group does not prevent those students entering other Divisions, subject to all other applicable rules.